Maybelline Fit Me Concealer is ideal for flawless, natural coverage. 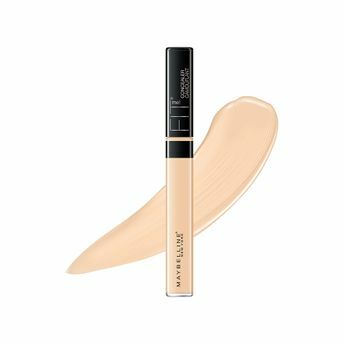 This oil-free concealer formula conceals redness, flaws, and blemishes and matches skin tones to deliver a more even complexion. From a small, family-owned business to the number one cosmetics company in America today, Maybelline New York takes trends from the catwalk to the sidewalk, empowering women to make a statement, explore new looks, and flaunt their own creativity and individuality. Inspired by confident, accomplished women, Maybelline gives you scientifically-advanced formulas, revolutionary textures and up-to-the minute, trendsetting shades effortlessly, affordably, beautifully. Explore the entire range of Concealer available on Nykaa. Shop more Maybelline New York products here.You can browse through the complete world of Maybelline New York Concealer .Alternatively, you can also find many more products from the Maybelline New York Fit Me Concealer range.